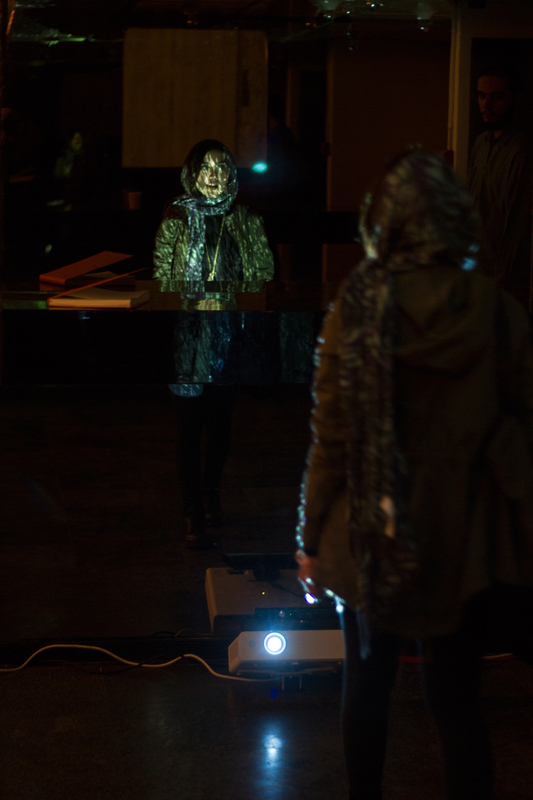 video installation oct 2015 visual artist, developer http://www.tadaex.com/2015/artists/ali-phi each living cell contains unique information, based on a universal structure. 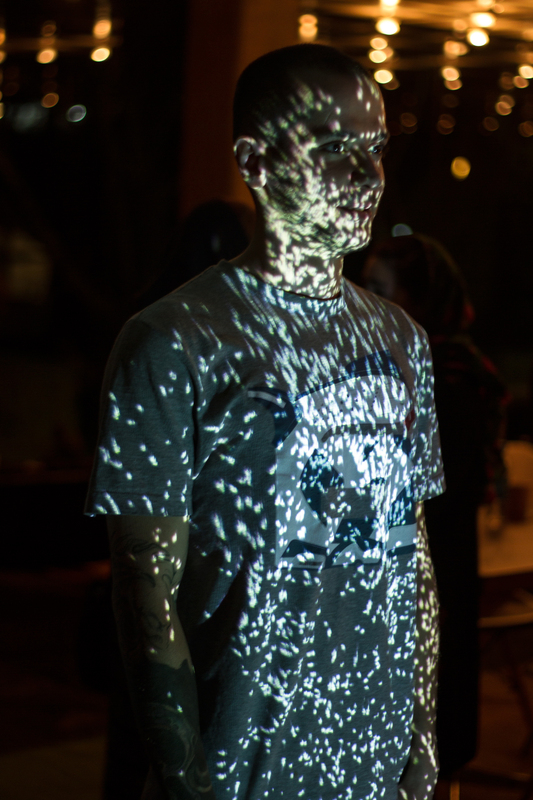 human beings as the most intelligent of these beings are placed in an infinite context and some by finding a particular point in that structure reach awareness. 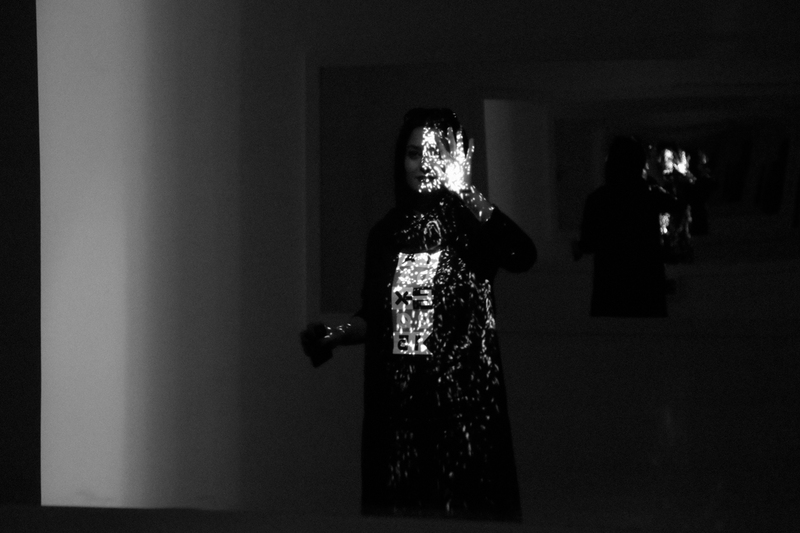 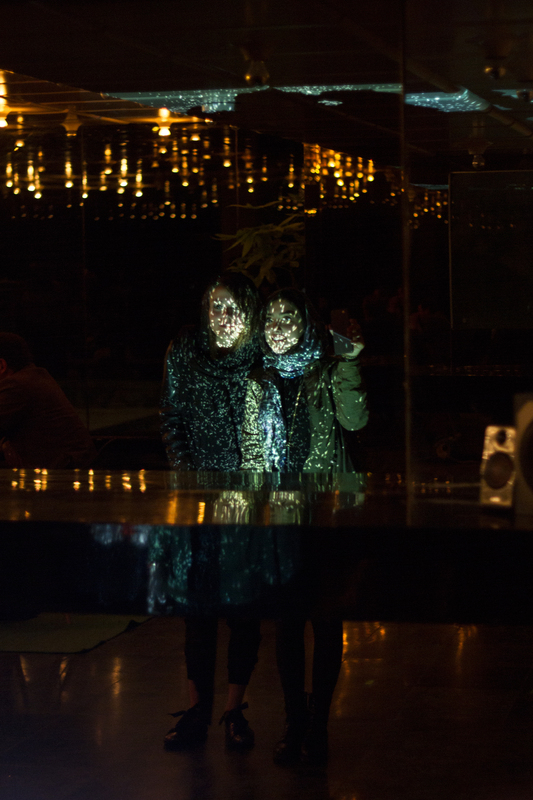 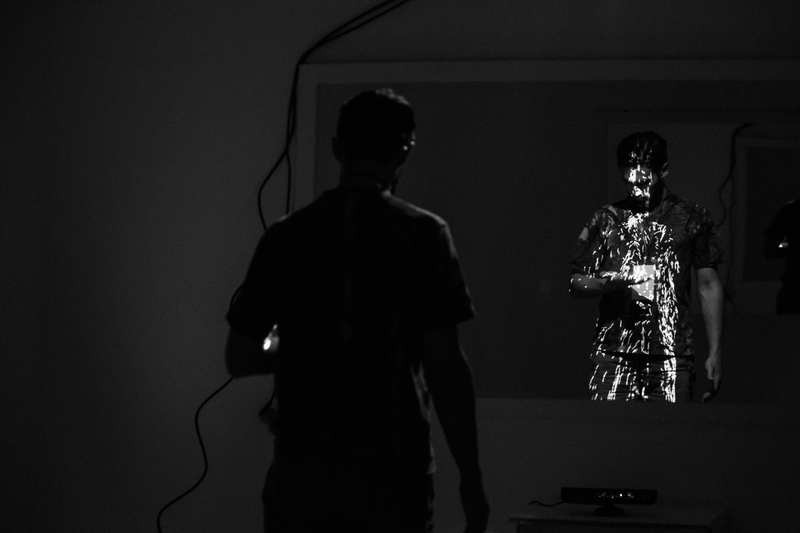 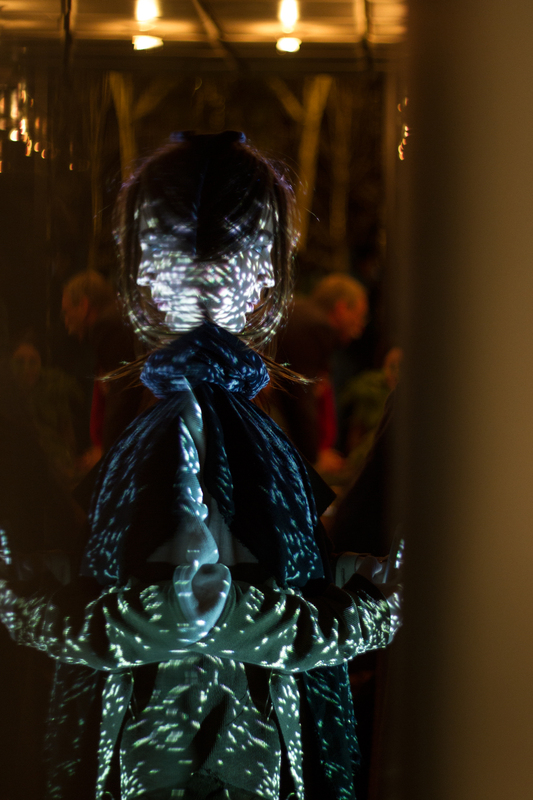 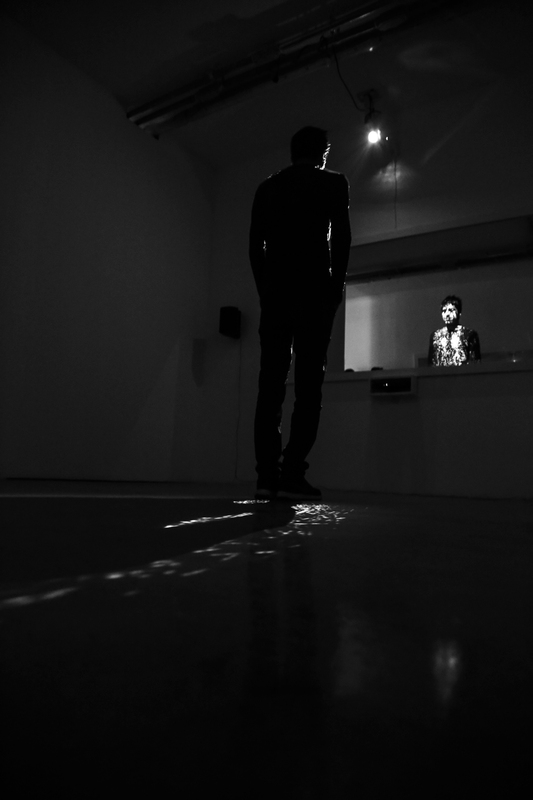 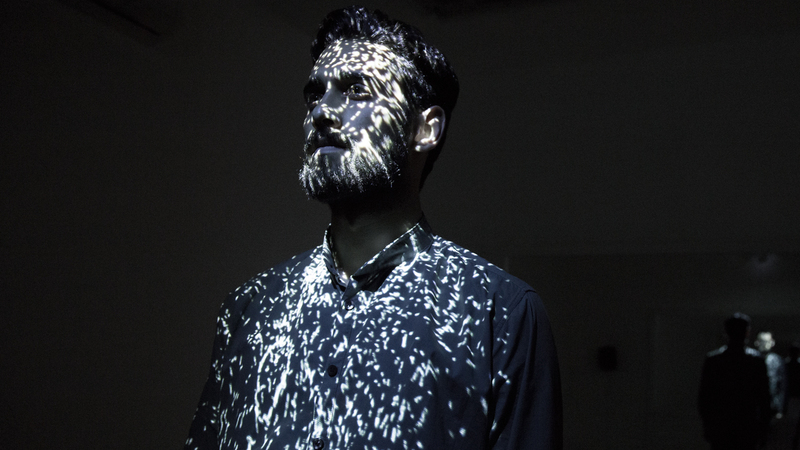 am is an interactive audiovisual installation that occurs in front of the mirror. 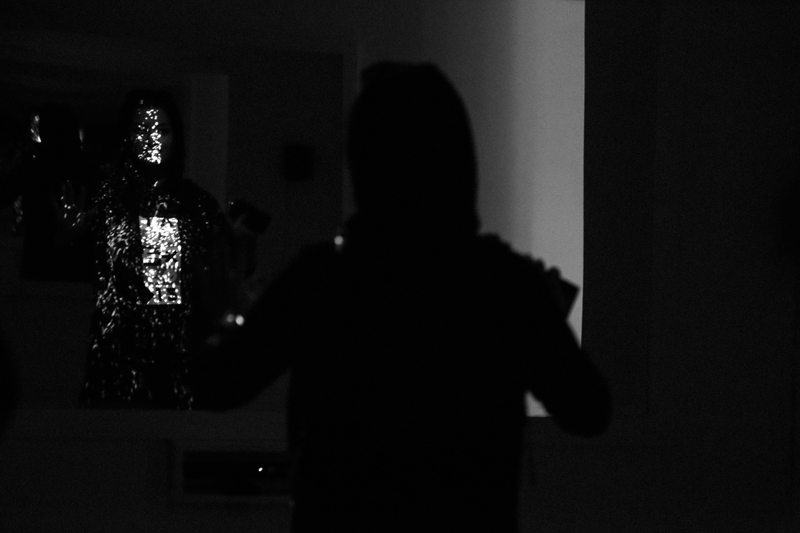 these images normally remain invisible. 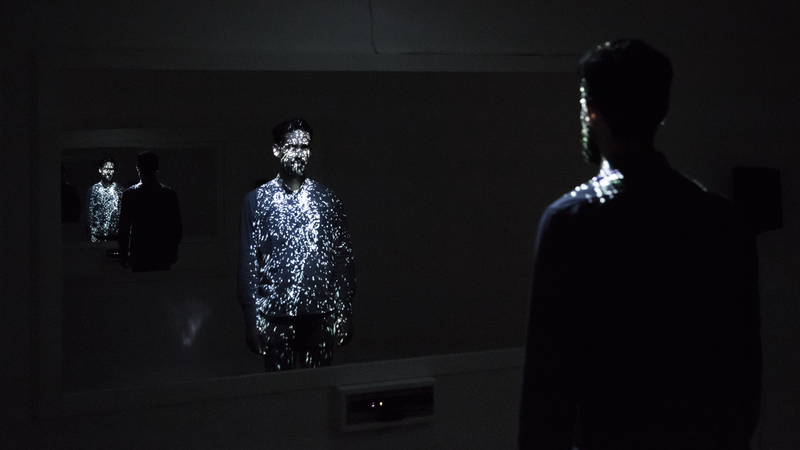 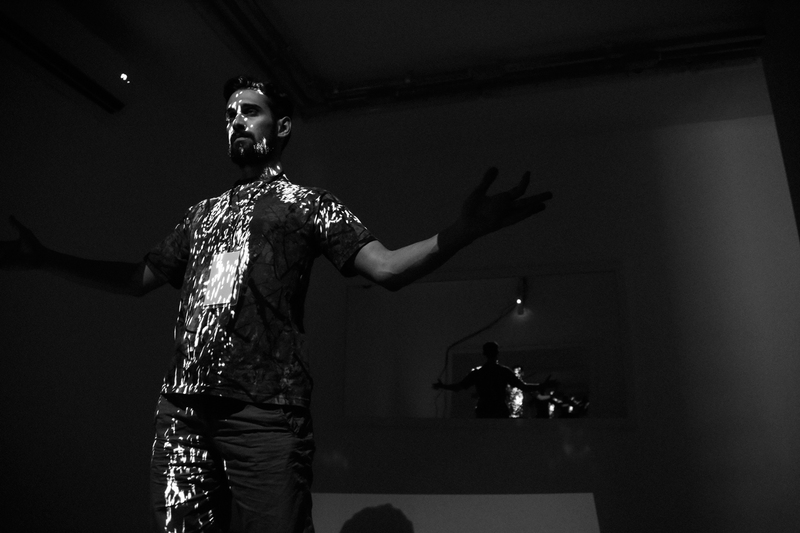 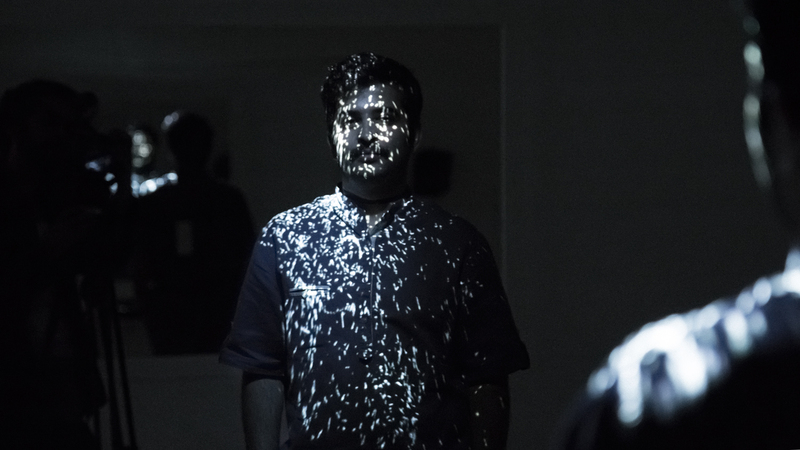 as soon as an audience enters the installation, the previously invisible images begin to appear and an image of an advanced particle system starts to form on the audience's body. 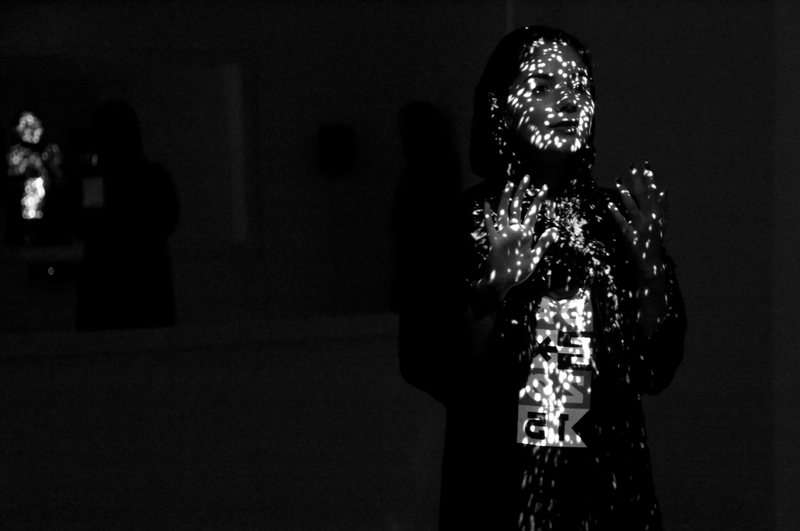 The progression of the particle system is accompanied by ambient music composed for this piece.